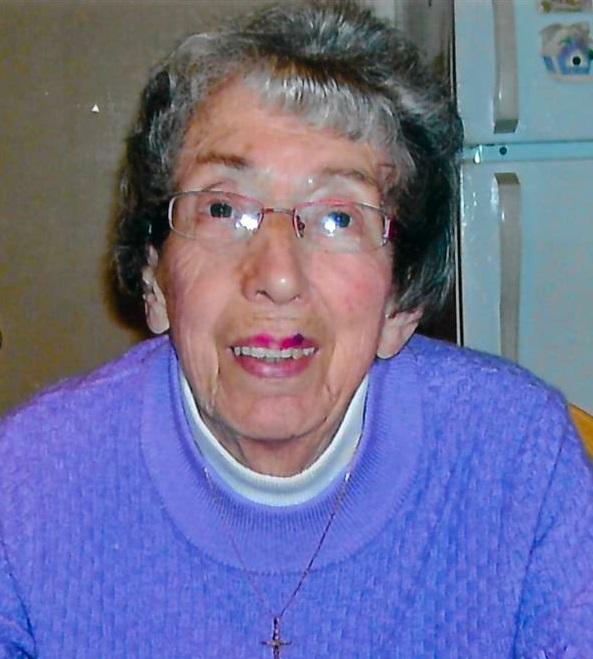 It is with great sadness that the family of the late THERESA M. WARD of Marystown announces her passing at the Burin Peninsula Health Care Centre in Burin on Saturday, January 13th, 2018, at the age of 80. Leaving to mourn with fond and loving memories are son, Harry (Mary) Ward of Marystown; grandson, Daniel Ward of Marystown; special niece, Delores Brake of Marystown; large number of nieces, nephews, relatives and friends. She was predeceased by her husband, John Ward; parents, Daniel & Mary Brake; sister, Edith Hodder; and brothers, Don, Dermot, Patrick and baby John Brake. Mass of Christian Burial took place at Sacred Heart Roman Catholic Church in Marystown on Wednesday, January 17th, 2018 at 10:30 a.m. Interment followed at Sacred Heart Roman Catholic Cemetery in Marystown. In Theresa’s memory flowers gratefully accepted.